Transatlantic Cruises might seem out of reach for families. They require a lot of time away from work and school, and seem likely to cost a fortune. Plus, they require families to voluntarily spend a couple of weeks in tight quarters! 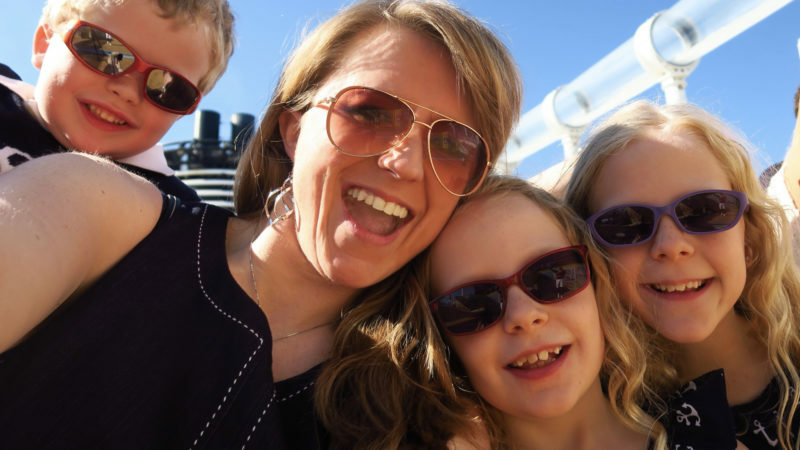 Wayfinding TravelingMom and cruise veteran Jennifer Kaufman shares why she and her husband love cruising with kids, and why they were truly excited to take their three young children on a 2-week trip across the ocean on a ship. Transatlantic Cruises – sometimes referred to as Repositioning Cruises – are exactly as they sound. A cruise ship leaves a port in North America to travel across the Atlantic Ocean to Europe, or vice versa. Usually, the ship is moving its “home port” from one place to another for some length of time. Rather than repositioning an empty ship, companies fill the ship with passengers for the one-way journey. 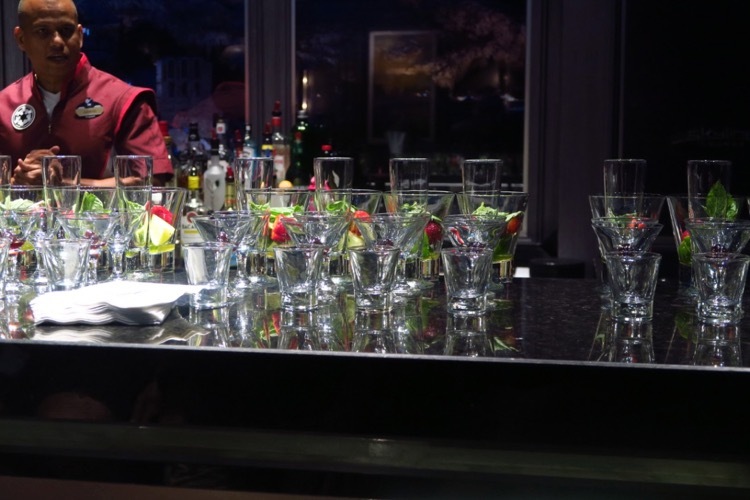 Transatlantic Cruises can be significantly different from other cruise itineraries. Some of the things that are seen as drawbacks or hindrances, though, might be the very reasons such a sailing is a great choice for families. On most cruise itineraries, guests stop in a port city every day or two, with possible “Sea Days” between. On repositioning cruises — especially Transatlantic Cruises — there are usually several sea days in a row. We have discovered there are usually two types of cruisers. Some people sail to get to new destinations, while also enjoying the journey; this is how we planned our first several cruise vacations. Other people enjoy the cruise ship most, and may or may not explore the places it happens to dock. For our family now, it totally depends on the trip! If your main goal is to see as many places as possible, these itineraries won’t be ideal. On the other hand, if you enjoy the days at sea and always leave a cruise feeling like there were so many things you didn’t get around to doing, they are perfect. My kids are always torn when it’s time to get off the ship in port; they have so much fun on board, and hate to leave the ship! If you live on one continent and end up on another on the end of your journey, or want to take a repositioning cruise that begins across the ocean from where you live, you’re obviously going to have to find transportation for one leg of your trip. In the case of our 2018 Transatlantic Cruise, we flew from Cincinnati to Miami to board the ship, and flew home from Barcelona, Spain when we were finished. While this does add an additional layer of planning, whether this is positive or negative is a matter of perspective. (Aren’t most things, really?) If, for example, you are a US citizen who wants to take a Mediterranean cruise or someone in the lower 48 states who wants to take an Alaskan cruise, you would have to purchase round trip air-fare for your vacation; in the case of a repositioning cruise, you only have to fly one direction. Also, ending somewhere different from where you started gives you an opportunity to explore another part of the world. We spent a few additional days in Barcelona, a city none of us had ever visited previously. Many people add on visits to other parts of Europe, since travel between countries is so relatively convenient. This is one issue I can’t spin any other way. 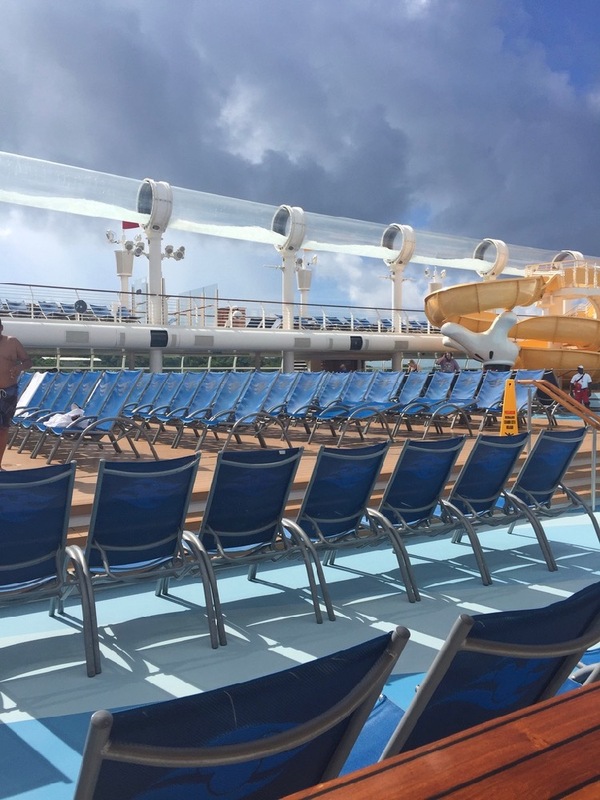 Taking a multi-week cruise does, of course, mean you’ll have to take multiple weeks off of work or pull the kids out of school for an extended period of time. In many cases, these repositioning cruises fall as seasons change — putting them at inopportune times for children to miss school. For example, the Disney Cruise Line Transatlantic sailings happen in September and May – just as kids have returned to a new school year, or as they are busily trying to wrap one up. In fact, this is the single reason it took a while to take our kids on a Transatlantic cruise (or other multiple week itinerary). We homeschooled our kids this year, which made it possible for us to be done in time for the cruise. Aside from the obvious “No work/school for 18 days!” sentiment, we all know that such extended breaks from reality often come with a cost upon our return. Whether getting away for that long is feasible (or worthwhile) for you and your family is going to be a very personal decision. There are a number of factors that make these repositioning cruises more affordable than you might think. The price for a cruise is almost never cheaper than the day it opens. As the number of available rooms decreases, demand — and therefore price — increases. First, a large portion of the fees on a cruise itinerary is related to the ports; fewer ports during a Transatlantic crossing means fewer port fees. Second, these cruises usually happen at off-peak times of the year. Even more than with land-based vacations, this means that off-peak travel will always be cheaper than busier seasons. 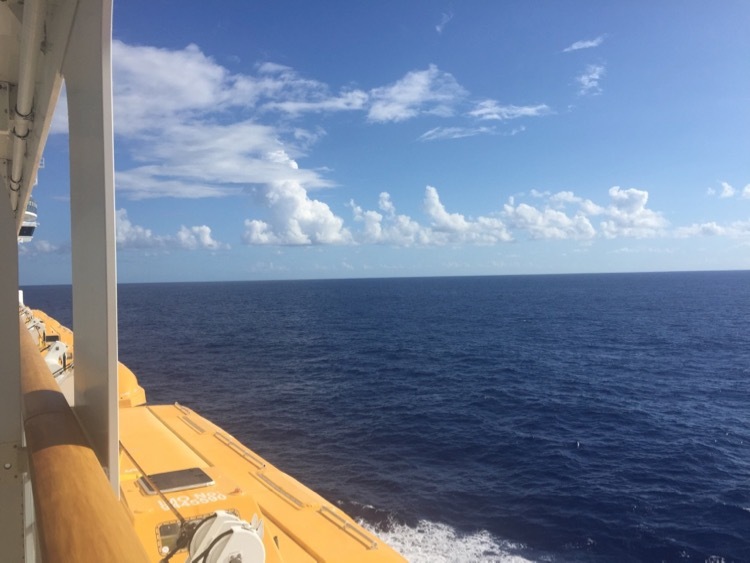 Third, and continuing the same general theory, not everyone can (or wants to) take two weeks off for a cruise that spends half its time in the middle of the ocean. Lower demand can lead to lower prices, or a longer period of time during which you can score a deal. We have booked two Transatlantic cruises, though we were unable to take the first we had planned. In both cases, we paid approximately 20% more for the 13- or 14-night sailings than we usually do on 7-night sailings (for similar room categories and times of year). On the flip side, we had family join us recently on a 7-night cruise during Spring Break. They booked relatively last minute, and paid as much for two people, in an inside stateroom on a 7-night sailing, as we did for five of us, in a family-size room with a verandah for 13-nights. Book a ship/cruise line with plenty to do — especially if you’re bringing kids. We have yet to meet a cruise length that we felt was too long. Each day we’ve experienced — especially the days at sea — have been so jam packed with things to do, that we’ve not had time for it all. I truly think that is, in large part, because we’ve sailed exclusively on Disney Cruise Line. That is not to say that Disney is the only cruise line that is good for families; I know plenty of people who love others. 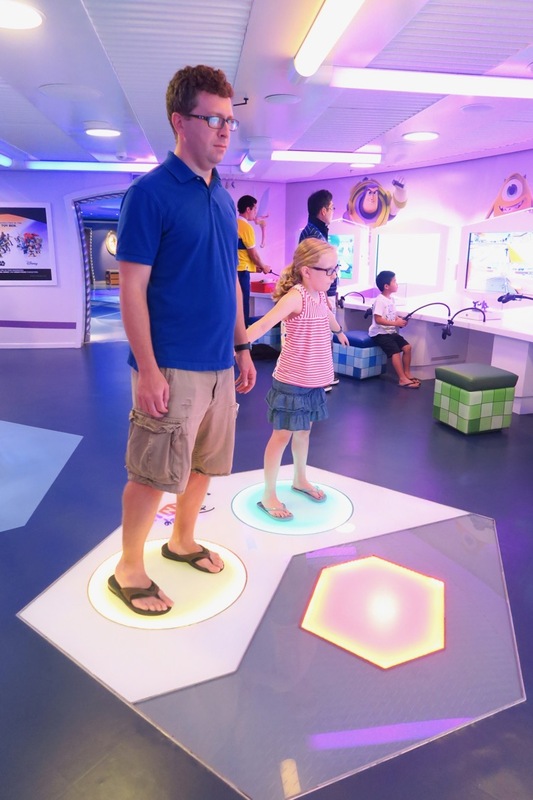 It is only to point out that a cruise line where the “kids club” is a small conference room with some board games (a real scenario on at least one line of ships) or where kid-friendly activities are completely non-existent is going to be very long for your family. On our 2018 itinerary, we will spend the first 7 days in the middle of the ocean. If the ship you will sail doesn’t offer a nearly endless supply of amenities and activities for all ages, make sure you plan accordingly with your own favorite travel games, books, etc. Split up — and come back together. It is the days at sea and onboard activities that solidify my family’s love for cruising. We love spending time together; in fact, we chose to homeschool this year because we felt like we never really got to spend any time as a family, with everyone so busy and on different schedules. That said, it’s no secret: families drive one another crazy. (Right? I know it’s not just mine…) Add to that reality the close quarters experienced during travel, and the fact that each family member may have a different idea about the best way to spend a day. Cruises are so wonderful for multigenerational travel groups. Kids, teens, parents, and even grandparents can separate some each day and do exactly what makes them happy — and then come back together to create memories as a family. It really is the perfect kind of vacation. Find a balance that works for your family; dare I say it even cuts fighting down to a minimum! 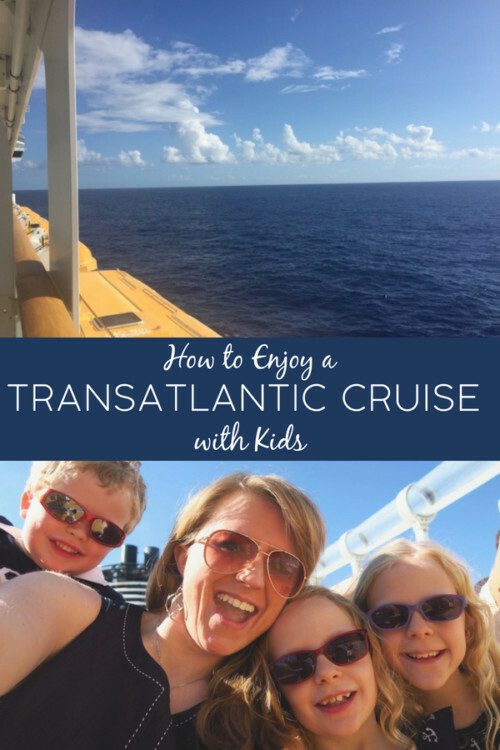 Everyone can find their own space and “me time.” It’s why we fell in love with cruising with kids, and why we think a Transatlantic Cruise with kids is not something to survive — but perhaps the ultimate family vacation option. Understand how long two weeks really is. Two weeks in one place is an undeniably long time. Even if you have plenty to do, you’re going to be in close quarters. You’re going to have times where you may just have to take a nap or watch a movie. Kids (or adults!) may get homesick. Even if you don’t ever dislike the time away, it may become fairly disorienting. If you’ve ever stayed at home during the summer and lost track of what day it was because you didn’t have your usual routine, you’ve experienced a small taste of what it’s like to live onboard a ship where the days simply don’t matter. A friend of ours who was crew member on a ship for more than five years says he almost literally never knew what day it was outside of, “Sea Day 2” or “Nassau Day” (or similar). 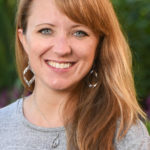 All that said, when do we ever get to disconnect in today’s infinitely connected, fast-paced world? 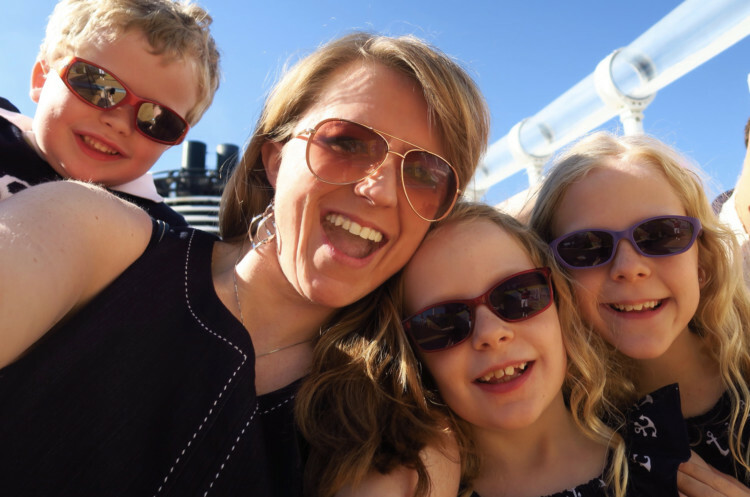 One of our favorite reasons for cruising as a family is that we can truly disconnect from the world. Make sure your passport is compliant with all applicable rules. On the majority of cruises US residents take each year, guests don’t actually need passports — even if they visit other countries in North America. All of the laws that make that possible become irrelevant when you take a one-way sailing to another continent. You will need a passport for every member of your party, and it will likely need to be valid for much longer than just the dates of your cruise. Your cruise line probably has its own rule about passport expiration; for example, guests may not board a Disney cruise if their passport is not valid for six months beyond the completion of the scheduled sailing. Federal regulations in your home country and/or the country you are visiting may have similar requirements. Be sure and check them in plenty of time to take care of any issues that may arise. Be prepared for time change issues. If you’ve ever traveled with kids across multiple time zones, you may already know how your family handles such change. Whether or not you think you’ve got it figured out, crossing several time zones over several days is a new experience for most people. In most cases, you will gain or lose an hour almost every day, until you reach the opposite continent. For some people, this is an easy way to transition without avoiding jet lag. For others, it means your routine is thrown off little-by-little, every day. Look at your route options. If you’re taking a Transatlantic Cruise mostly for the days at sea or the cost benefit, maybe you aren’t dead set on seeing a particular port. Still, you might be surprised that you do have options. Depending on the cruise line, sailing direction, and even year you may take a number of different routes. It takes less than six hours to get from the US to London on most Transatlantic flights; some are clocking in-air time as low as four hours. Taking a long voyage across the ocean is definitely not an efficient mode of transportation anymore. What it offers in luxury, incredible family memories, once-in-a-lifetime experiences, and education however, makes it a very worthwhile consideration for any family looking to travel together.